Home Apple iPhone Will My iPhone Clock Update Automatically for Daylight Savings Time? Will My iPhone Clock Update Automatically for Daylight Savings Time? Your iPhone can serve a lot of different purposes, and has likely replaced a number of common household items. One item that it may have replaced is a watch, since the iPhone has its own clock, and is typically within reach. But as that time of year approaches where the clocks are going forward or backwards an hour, you might be wondering whether or not your iPhone clock will update automatically to adjust for the time change. 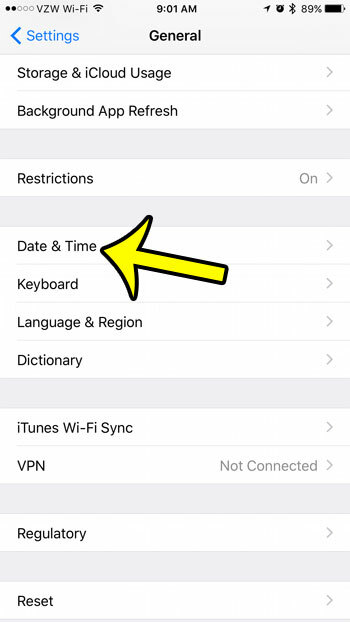 Your iPhone can update automatically to account for Daylight Savings Time, but it requires a specific setting to be enabled. 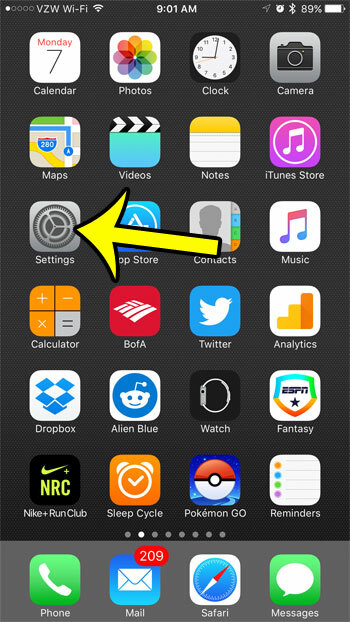 This setting is enabled on most iPhones by default, but you might just want to check it to confirm. 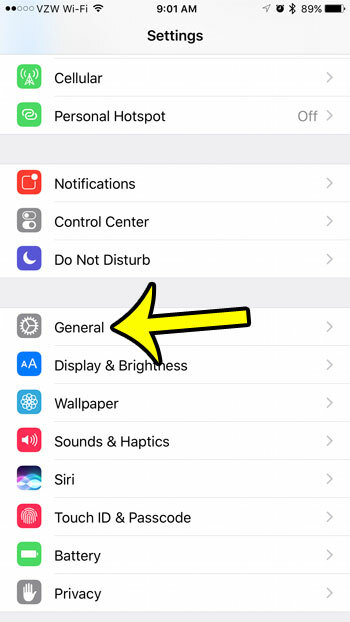 Our guide below will show you where to find the setting that controls your iPhone’s ability to automatically update the time. The steps in this article were performed on an iPhone 6 Plus, in iOS 10. These steps will work for most iPhone models running iOS 7 or higher. Step 3: Scroll down and tap Date & Time. 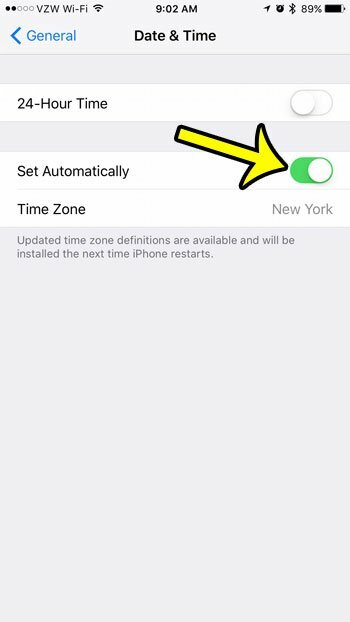 Step 4: Tap the button to the right of Set Automatically if you want your iPhone’s clock to update automatically for Daylight Savings time. The automatic time update will occur when there is green shading around the button, as there is in the picture below. Enable the Set Automatically option. One of the more convenient, everyday features of the iPhone is the alarm clock found within the Clock app. Click here to see how you can set your iPhone alarm to vibrate without sound, if you need the alarm to go off at a time when someone nearby might still be sleeping.